Part of the Video Cooking Library series, which walks viewers step-by-step through the preparation of various recipes, one special culinary topic at a time, Video Cooking Library: Basic New Orleans Cuisine teaches aspiring chefs how to prepare a full New Orleans-inspired meal. 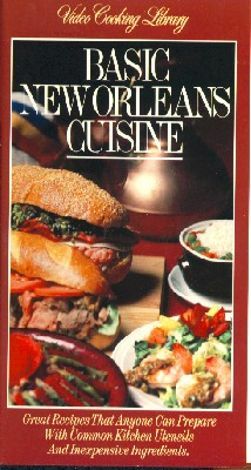 Recipes include sausage chicken gumbo, shrimp with remoulade sauce, black-eyed peas, trout pecan with meuniere sauce, muffuleta sandwich with olive salad, and crème brûlée. .